Home >> Providers >> K. Clark Tekin, P.A.-C.
K. Clark Tekin joined North Atlanta Primary Care in 2017 and is seeing patients at our Alpharetta location. 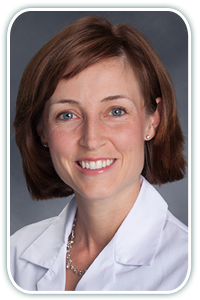 Clark was born and raised in Lexington, KY. She completed her undergraduate studies at Western Kentucky University and completed her Masters in Medical Sciences at the University of Kentucky. She graduated with her Master of Science in Physician Assistant studies from South University of Savannah. Her passions within medicine include Alzheimer’s disease and other forms of dementia, infectious disease, pediatrics and preventative medicine. Clark belongs to the American Academy of Physician Assistants, the Georgia Association of Physician Assistants, and the Association of Clinicians for the Underserved. In her spare time, Clark enjoys jogging, gardening, and Sci-Fi movies with her husband, and in true Wildcat fashion, cheering on UK Basketball.